Even though the Nicktoons series aims for a male demographic of boys age 6-11, nothing about the 2008 show Wolverine and the X-Men follows the typical kid-centric paradigm of children's programming. Riddled with existential dilemmas and complex crises, it's also filled with sharp angles and a dark color palette that matches the foreboding atmosphere of the situation and original look of the comic book illustrations. Likewise, it's impressively presented in high quality cinematic 16:9 widescreen format in 5.1 Dolby Digital Surround Sound. And this particular title in question arrives on disc to coincide with the debut of Lionsgate Entertainment's original DVD and Blu-ray Planet Hulk, which is this year's take-off on the character they explored magnificently in 2009's Hulk Vs. 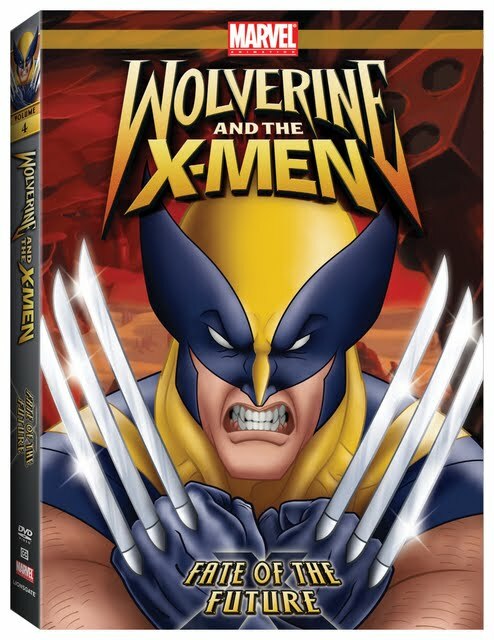 The fourth volume of the series release by the company, which has been grouping together a handful of episodes in their correct broadcast order, Wolverine and the X-Men: Fate of the Future pairs the feature-length running time main material with additionally appealing extras for grown-up comic book junkies including episode commentary with Craig Kyle, Greg Johnson, and Chris Yost as well as a 2.0 Spanish language audio track. 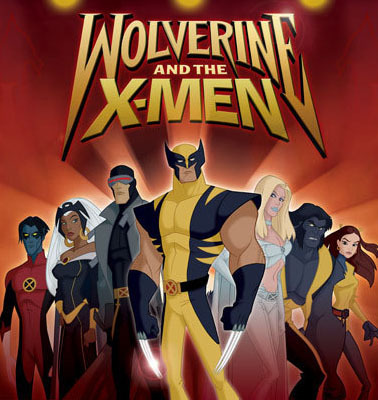 And luckily since the five episodes from season one are listed in the right order from broadcast, the story-line develops naturally, allowing you the opportunity to watch it as a mini-movie as the X-Men try to race the clock and thwart the villains in regaining control of their own futures including the decision of whether or not some characters live or die when evil forces threaten to rewrite the X-Men mythology. Although all characters are tested, by far, it's fan favorite and the antihero of Marvel's first Origins film, Wolverine who arguably has the roughest time, trying to make up for the lives he's negatively impacted in the past and mistakes he's made, especially when he's brainwashed in one episode and isn't sure whether or not he can trust the X-Men who've become his second family. Over the course of the five season one episodes numbered 14-18 and titled “Stolen Lives,” “Hunting Grounds,” “Badlands,” “Code of Conduct,”and “Backlash,” the characters of Polaris, X-23, Mariko Yashida, and Silver Samurai are first introduced. From battling the Sentinels in another dystopian future in the stellar action packed episode “Badlands,” to taking on the would-be head of a Yakuza crime syndicate in “Code of Conduct” over an old flame of Wolverine's, the action plots are boundless. In fact, the latter episode was deemed inappropriate for UK broadcast due to the issues and violence that pervade. And indeed, battling a lover's ex in an honor battle isn't something you usually see made this apparent on traditional kid's fare like Mickey Mouse Clubhouse, SpongeBob SquarePants, or Handy Manny, regardless of the fact that the UK edits the series for its content including the rather graphic violence. Upping the cool factor, the packaging of the disc comes witj a collectible 3D style hologram cover of Wolverine that's sure to catch your eye. And while for the sake of budget, you'll no doubt wish that the entire season would've been made available instead of the five-episode teasers, the high quality and involving content of the cinematic level presentation makes it easy to forgive since Lionsgate and Marvel ensure that 110 minutes of your Fate of the Future will consist of good old fashioned comic book derived entertainment.